Mass law allows towns to charge 5x the resident permit for a non-resident permit. When I lived in Bourne the non-resident fee was $175. Seems steep, but if you go once a month and get a full peck you pay for it pretty quick. If you go more than once a month it can pay off even faster. Just go to your local fish market and see how much you'll pay for a dozen cherrystones. It's been years since I have pulled on a rake, but I've got a few bucks burning a hole in my pocket so I think I will get my license this year. Maybe even go over to Chatham and get one too. Rob, we should post some pics of the old days in this thread! I'm sure you have way more than I do. I don't know if the salt trick will work on jackknifes........We use to harvest steamers using pressure from a water pump and we would get a few jackknifes mixed in with our soft shell catch. I also caught a few when I plungered for steamers. There ok but I would not go out of my way to harvest them. The only local cockle I'm aware of is the blood cockle. It's called that because it is all red inside. I have been told they are edible but have never tried any. They are round, ribbed and covered in a fine hair. As a lad in England cockles were a favourite seaside snack. served warm and pickled in malt vinegar. I make a similar dish now using just legal sized fresh quahog meats. 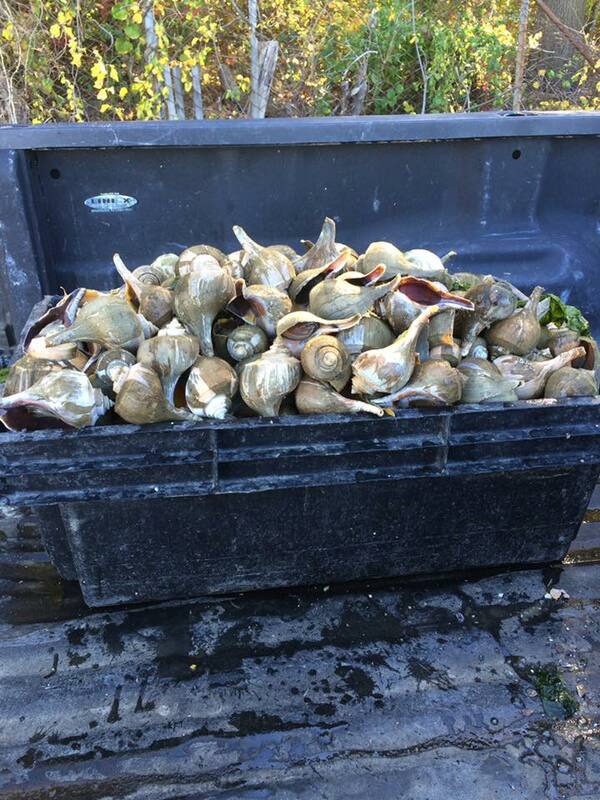 I use to harvest whelks.There is a good market for them. We would also catch them as by-catch when bullraking quahogs or pulling bay scallop drags. Most towns have regs that ask you to leave them above the high water mark to die. They are ferocious shellfish predators. I would save mine and give them away to whoever was interested in them. Folks of Italian heritage in particular really loved them. Never hurts to generate a lil good will. I have been interested in doing some recreational clamming for a while. Where is a good place to go for the right gear? I saw on the news 2 women mysteriously died minutes apart in separate incidents while razor clamming in WA state this week. Sounds like they both drowned. I think they were clamming at night. Razor clamming is big out there. They harvest them with a metal tube on a t-handle called a clam gun. I’ve watched them do it but never participated. I’ve harvested them here on the NS of MA with the salt method which works slick. Will do. Aside from a good rake and basket what are the essentials (gloves, boots, etc)??? You can also check out New England Marine in Marshfield. They have good stuff in their store and the guys in there are very helpful and knowledgeable. 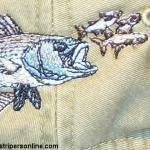 @jmarino1432 Great website: seems like they have a ton of stuff. Wonder why I haven't heard their name before on SOL? Thanks for the tip. @robc22 Knee drops on the beach? I'm ready...wooooooooooo!
. Rob, we should post some pics of the old days in this thread! I'm sure you have way more than I do. your clams,this was a mandatory piece of equipment back when I Shellfished.